People understand what’s at stake. Without net neutrality, large phone and cable companies will take control of the stories we tell, deciding who gets a voice and who doesn’t. 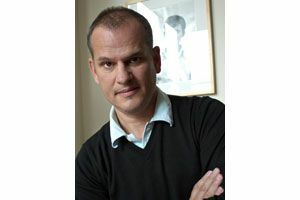 Timothy Karr is the senior director of strategy and communications for Free Press Action Fund, a nonpartisan organization that advocates for universal access to an open and affordable internet. Karr, a native of Bainbridge Island, lives near New York City. 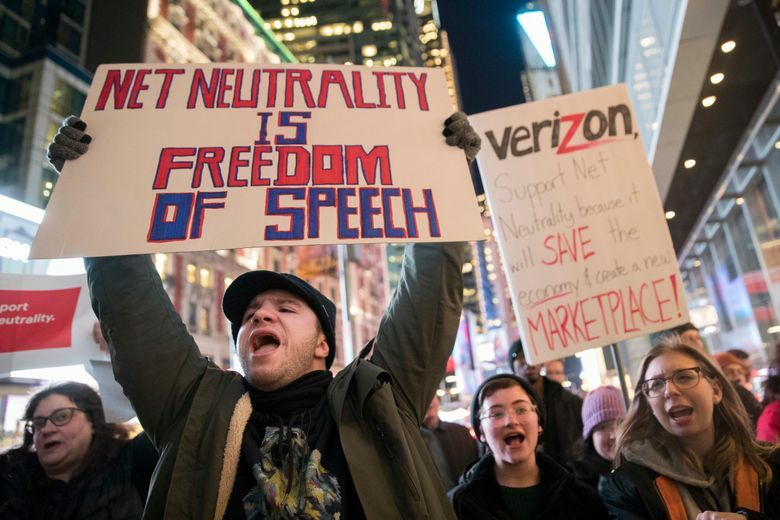 Net neutrality is getting much better thanks to the fierce public opposition that’s met Trump-administration efforts to kill off the principle that protects the open internet. U.S. Rep. Mike Coffman of Colorado has joined 176 other representatives in support of a House resolution that would reverse the Federal Communications Commission’s 2017 decision to strip internet users of their rights to free expression and choice online. Coffman is the first House Republican to stand with internet users and against the large phone and cable companies that have lobbied Washington, D.C., to do away with net-neutrality protections. But he likely won’t be the last. U.S. Rep. Dave Reichert of Washington’s 8th District claims to side with the open internet. “Throughout my time in Congress, I have consistently supported the principle of net neutrality,” he said in a statement last year. Now is a good time for Reichert to join Coffman and other Republicans in support of the rules that would make it so. Several recent polls show large majorities of Republican voters in opposition to the FCC’s vote against net neutrality, and in favor of restoring the 2015 rules, which prevented large phone and cable companies like AT&T, Comcast and Verizon from blocking, throttling or otherwise interfering with internet users’ ability to connect and communicate online. Any Republican seeking re-election in the fall can’t run from this polling data — or from the people back home who demand real net neutrality. The resolution to restore net neutrality falls under the Congressional Review Act (CRA), which allows Congress to overturn a federal agency’s rules. Reichert could seal his legacy as an open-internet champion by supporting the CRA and signing the discharge petition that would force the measure to the House floor for a vote. Washington state has been a leader in the fight for net neutrality. Just a few short months after FCC Chairman Ajit Pai took away these open-internet safeguards, Gov. Jay Inslee signed legislation that restored them statewide. More than 300 Washington state businesses signed on to a letter declaring net neutrality essential to the local economy. Local behemoths Amazon and Microsoft are part of the internet Association, a coalition of high-tech success stories that has lent its support to restoring the net-neutrality rules. In May, a bipartisan majority in the Senate voted in favor of the net-neutrality-saving resolution as a handful of Republicans stood with their constituents and against the FCC’s effort to dismantle these essential protections. In the strange calculus of D.C. politics, it’s considered brave to break with well-heeled corporate special interests and vote with the people you’re actually supposed to represent. According to a recent University of Maryland poll, 82 percent of Republicans, 90 percent of Democrats and 85 percent of independents object to the FCC’s efforts to take away our right to choose where we go, what we do and whom we connect with online. The public has the back of any politician, regardless of party, who swings our way in support of net neutrality. That’s because people understand what’s at stake. Without net neutrality, large phone and cable companies will take control of the stories we tell, deciding who gets a voice and who doesn’t. Millions of us, from Seattle to Key West, have spoken out via the internet, called our members of Congress and taken to the streets to ensure that corporations like Comcast don’t dictate the future of the internet. We the people aren’t going to let net neutrality die. Not today and not ever. Reichert and his colleagues in the House shouldn’t either.